Physical pain can be extremely excruciating regardless of its cause. People often use painkillers to quickly treat the acute and chronic pain. However, it is a fact that over-the-counter medications are loaded with chemicals and toxins and cause numerous side-effects. If these medications are used for a longer time, of in higher doses, their effects are even more intensified. Spondylosis is a degenerative disease of the spinal joints and the discs that is aggravated due to a sedentary lifestyle and aging and causes inability to move the neck and head, intense neck pain, and a throbbing headache. People suffering from it often try physical therapy or grab painkillers to relieve the symptoms. However, research has found that there is a natural way to soothe these symptoms, as well as numerous aches due to various reasons. Lettuce is a tall, leafy plant with yellow blossoms, similar to dandelion, which produce bitter, milky emulsion in the stems and leaves. Apparently, it hides numerous mighty properties. It belongs to the big family of lettuce. Its Latin name is Lactuca virosa, and it has been used for millennia due to its medicinal properties. Its alternative name is “lettuce opium”, since it has potent qualities similar to opium, which have been commonly practiced by Roman, Greek, and Arab physicians, as well as botanists and scientists including Pliny the Elder, Avicenna, and Dioscorides. In the bygone centuries, it has been combined with other herbs and used as an anesthetic in surgeries. The milky emulsion is also known as lactucarium in its dried form and it offers strong active pain-alleviating substances known as lactucin, lactucopicrin, and lactupicrin. These substances provide powerful analgesic properties in laboratory experiments with mice, which have been found to be even more potent than the effects of the common analgesic ibuprofen. 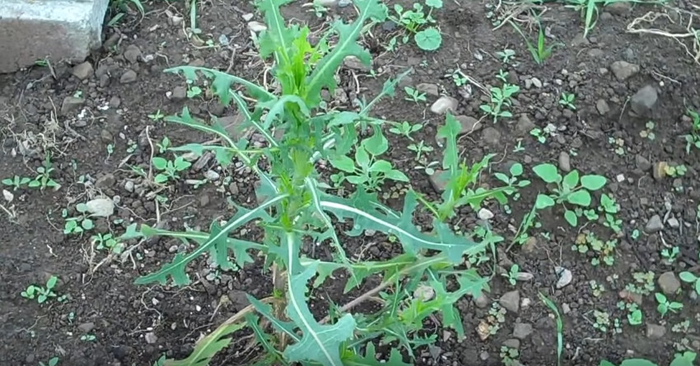 Lactucarium does not contain any real opiates in fact but is ingredients cause sedative and pain calming effects similar to opium. “The action of the substance was weaker than that of opium but free of the side-effects, and medical practice showed that in some cases lactucarium produced better curative effects than opium”. To soothe asthmatic attacks and lower their intensity. It relieves muscle pain and spasms due to the antispasmodic properties. It has a strong antitussive property which suppresses and calms dry coughs and alleviates the symptoms of a whooping cough. It eases pain as it can serve as a mild opiate, so you can use it instead of painkillers to relieve the pain due to headaches. You can use it to relieve the symptoms of anxiety and to promote better sleep, as it relaxes the nervous system and improves mood. It is a mild euphoric. The sticky white sap can be used to prepare alcohol tincture. It can be smoked when mixed other herbs in very small amounts of 0.25 grams. 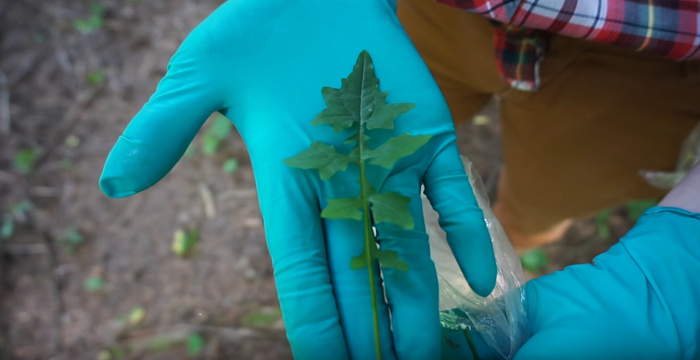 Use the stems and leaves to prepare tea, or use about 1.5 grams of the sap as an infusion. You can prepare it as a vaporizer for inhalation. It has been traditionally used in the form of syrup. Cook it with sugar and water over low heat to prepare it. Note that it should always be used in small doses, and you should avoid ingestion as it might cause symptoms like nausea, vomiting, lightheadedness, and disrupted nervous system.